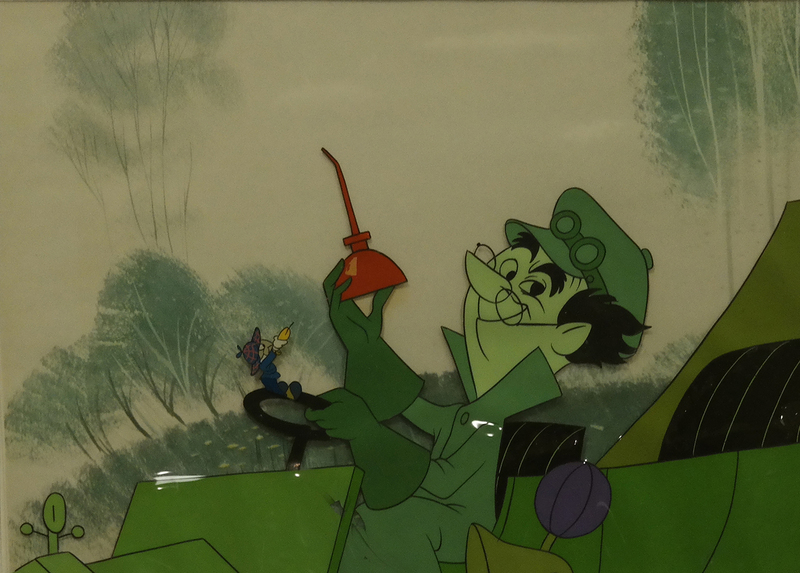 This is a nice two-cel setup featuring Jiminy Cricket from late 50's or early 60's Disney TV. 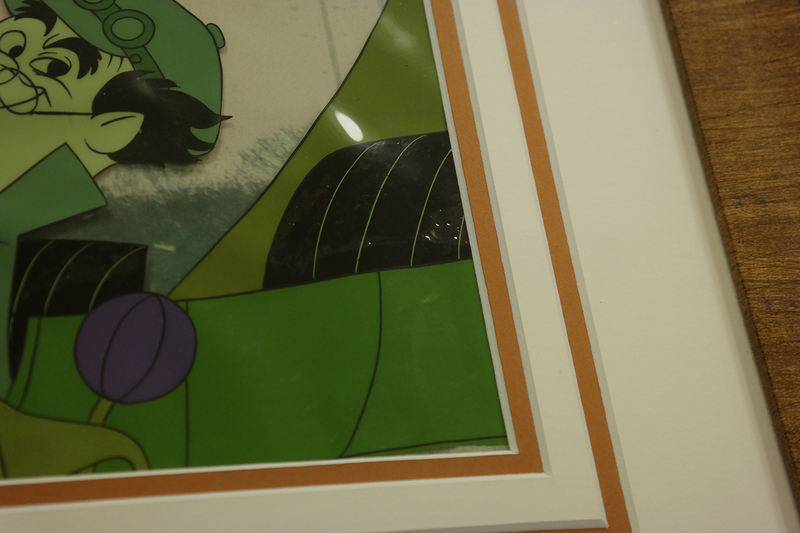 The cels were originally sold through the Art Corner store at Disneyland, and the set-up, with the cels on a litho background, is still as it was initially prepared for the Art Corner. 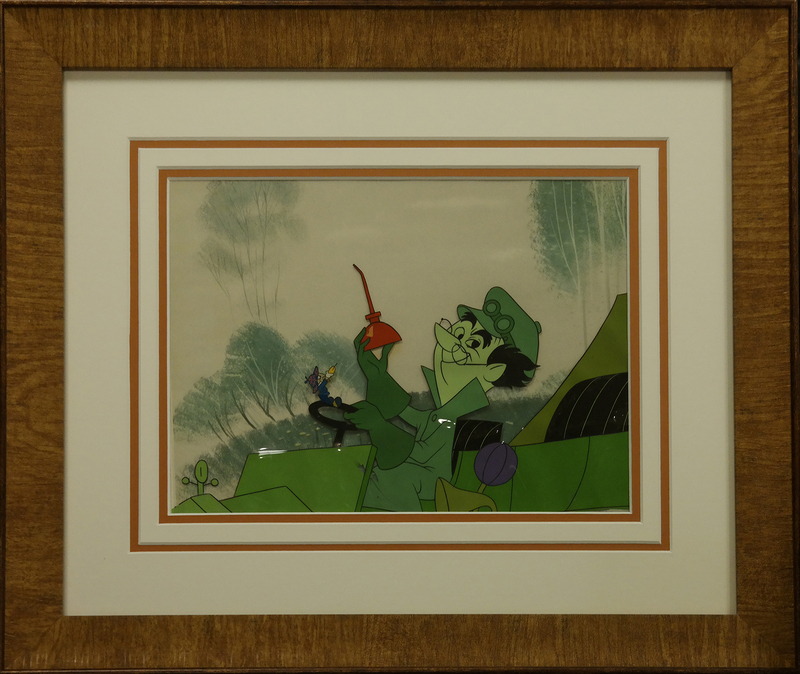 The overall cels measure 16" x 19" framed with the mat opening measuring 8" x 11" and the main image measures 6" x 12". The. 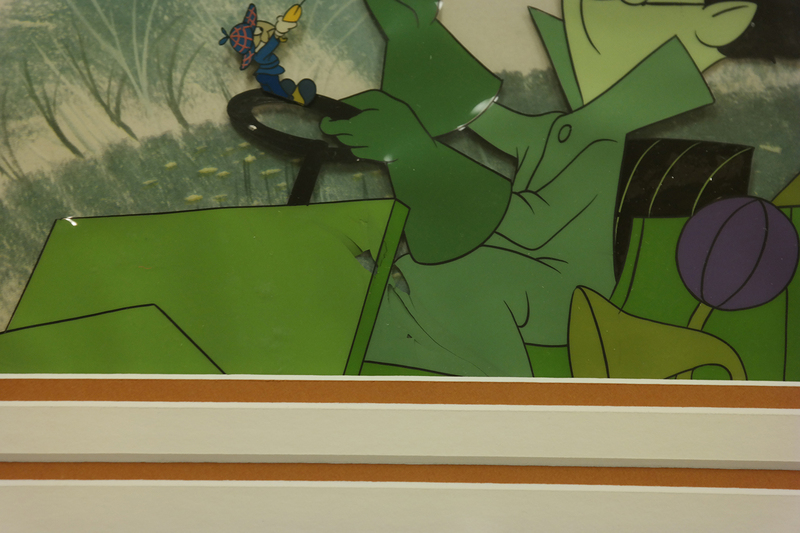 The image does show some signs of wear from age with paint damage and lifting to areas of the automobile.